We all want to raise healthy, confident kids, right? Kids who make the right choices when faced with peer pressure. Happy and healthy kids who aren’t afraid to take life by the reigns and boldly pursue their dreams. On the surface, these seem like great parenting goals. Who doesn’t want to raise a child like this? And yet I can testify from personal experience that we must give our kids more. Way more. We must gift them with a godly confidence—an unshakeable, unchanging assurance—that is founded on a dependence on God. Perhaps it sounds counterproductive—wrong even—to teach our kids to become dependent on anything! After all, don’t we want to raise self-reliant kids? No, teaching kids to find confidence inside themselves shouldn’t be the goal. 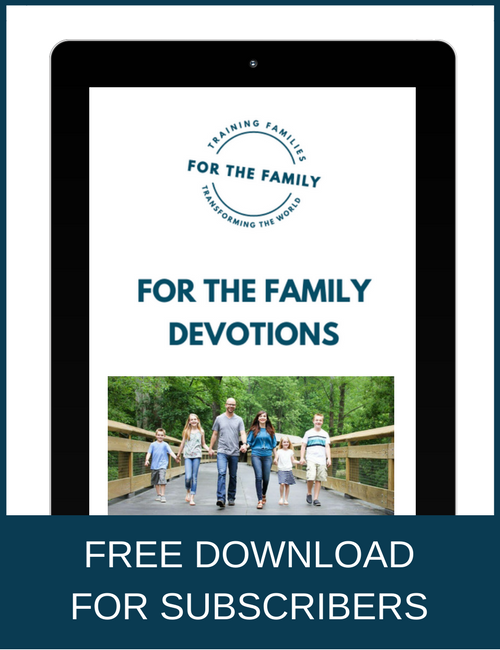 Instead, we want our kids self-worth to be determined not by their fleeting emotions (or the thoughts of those around them) but by the unchanging, deep riches of the Creator’s love for them. And that kind of self-worth comes from daily dependence in God. For those of us who know and love Jesus Christ, we understand that a daily relationship with Him is the only way to the rich, full life that we all long for. Allowing God’s view of us to shape our self-perception is the key to authentic confidence. Imagine how different our world would be if we could teach our kids this kind of godly confidence! Wow. Wouldn’t you love to develop this same godly confidence in your kids? 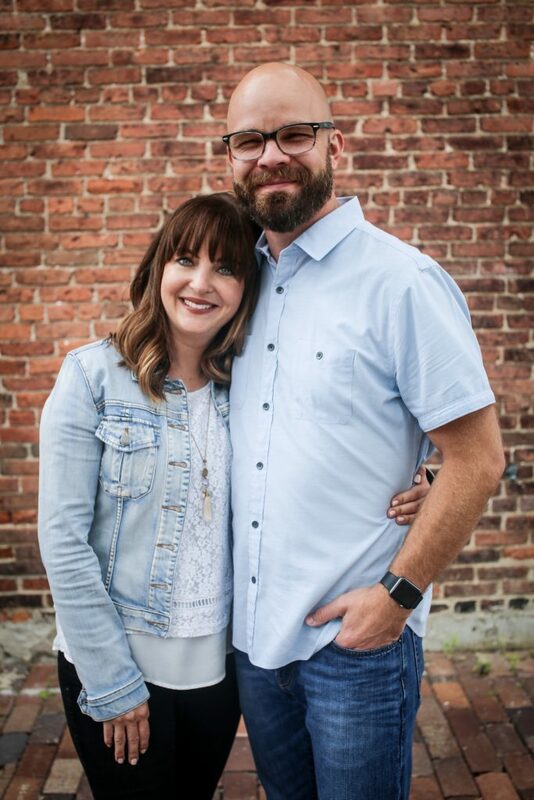 It’s something that my husband and I continually—and imperfectly—seek to do (with God’s help). My husband and I firmly believe that if our kids can grasp these 12 biblical truths they will become those joyful, intentional, confident kids that we long for them to become. 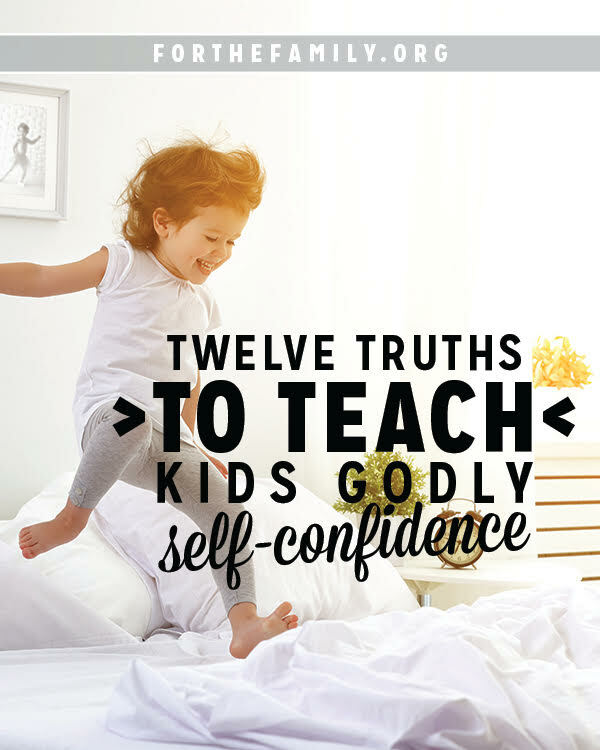 May teaching these truths to your kids assure them of God’s great love and impart a beautiful, godly self-confidence that can never be taken away! « What if we showcased our spouse?